The founding of the Children’s Convalescent home represented a further expression of the town’s traditional care for the needy. The house, provided by Miss Edith Hennell, was built on the site of the old workhouse in London End (the building is now a shop owned by Knights of Beaconsfield). Miss Hennell, along with her friend Miss Gladys Meates, opened the Home on 28 June 1910 having raised £50 to finance its initial costs. 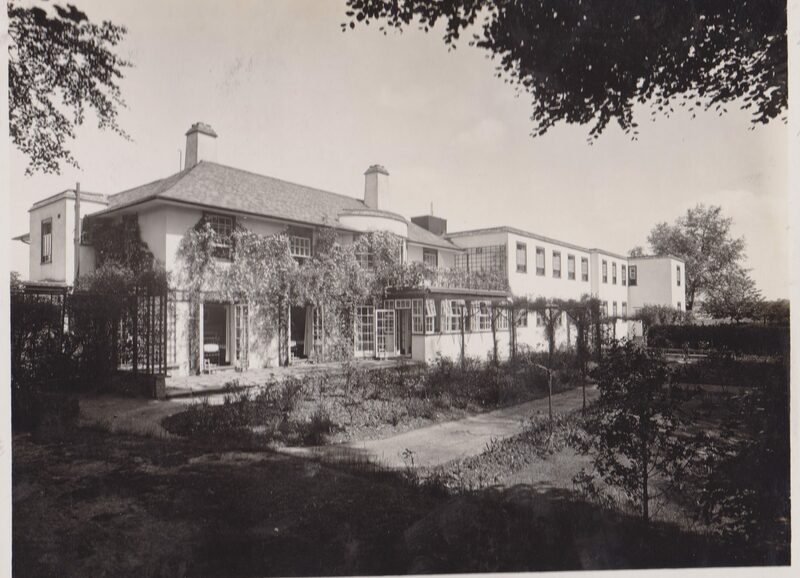 Their aim was to provide a place for the recovery of sick children from Great Ormond Street Hospital; in their words ‘to take the children free and give them good plain food, fresh air and care for as long as was considered necessary’. At the time of opening beds were available for six children, but as the demand for their services rose a further six beds were added in 1912, together with an isolation room built at the end of the garden. The following year a neighbouring house was acquired adding five more cots, as more London hospitals began sending their sick children to them. At this stage local fund raising covered the cost of 6s 6d per week for each child, but parents had to pre-pay the return rail fare of 1s 5d. 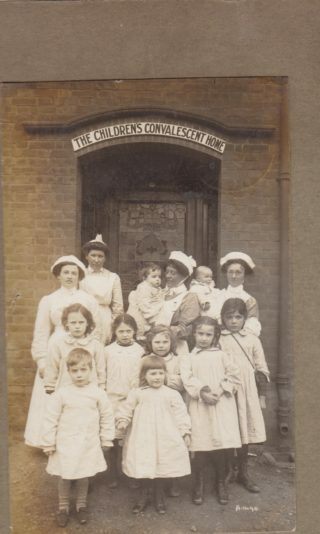 The children were provided with a blue smock and white bib as uniform and they were frequently to be seen around the town accompanied by nursing staff. During the war further pressure for their help came from two quarters. Firstly, in 1914 eighty nine Belgium refugees arrived in Beaconsfield and stayed at the Home until local accommodation could be found. An appeal for funds to look after the children and refugees was launched, with up to seventy being boarded out but remaining in the care of the seven staff. Secondly, on 19 January 1917, a munitions factory in Silvertown exploded, and the home once again offered refuge to thirty four homeless children of the tragedy. In the same year an appeal was launched to extend the Home, actively supported by local resident, G K Chesterton. In 1921 ‘White Barn’ was purchased at a cost of £4,500. This new building could accommodate thirty children and the Home moved to its new location in Station Road (now the site of Hughes’ Garage) the following year. The Shaftesbury Society donated £1000 towards its acquisition and became trustees, and in 1925 a new wing was opened. Although the age of the children varied over the years, it was now set at five for both girls and boys. In 1935 the Home had cared for around four thousand children since its foundation. 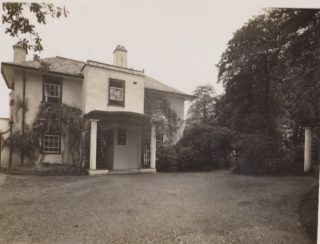 Throughout its history the Home had received active support and patronage from the Burnham family and on 23 April 1931 Queen Mary paid a surprise visit to ‘White Barn’ whilst in Beaconsfield. In 1942 Miss Hennell handed over the Home to the Shaftesbury Society, although the conduct of the work continued to remain entirely in her hands until she died in 1946, after which the Society took responsibility for its running. In 1967 the house and grounds were sold for redevelopment and the Home closed. My brother and I lived here from 1946 until 1948. I was 3 years old and my brother 2 years old. I have fond memories of this home.